The Arthur family was finally able to get a peaceful night’s sleep on beautiful Catalina Island… or so they thought. Confronted the next day by demands for “taxes,” they, and all the residents of Catalina, learn that a former state legislator – who also happens to be a former state prison inmate – has been “elected” as the new Governor of California. Catalina Island and the small Central California town of Tracy are among the few habitable areas still in existence, but every day is a new challenge, and their residents learn that they must fight to survive. Each has to find its own unique way of combating an illegal government and its “militia” consisting of a cutthroat gang of hardened criminals. Will society be able to recover at such a critical moment in time? 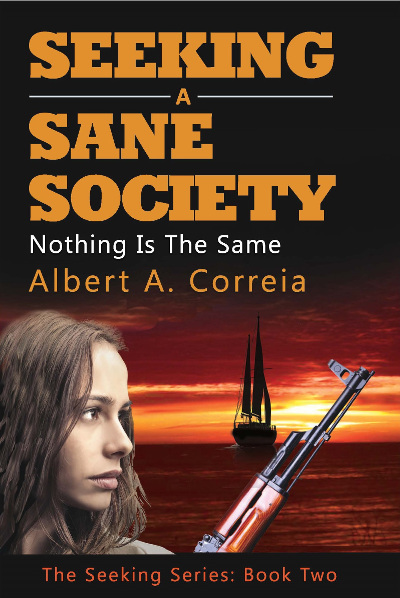 Join author Albert Correia on this fast-paced, post-apocalyptic book released in May 2016! Paperback: Amazon (link will work mid-April).